Marriage Week is an annual celebration, initiated in Australia in 2007, to reinforce and promote the benefits and importance of marriage. Marriage Week 2018 is running from 9th – 15th of September and gives a husband and wife and those who are preparing to marry, the opportunity and encouragement to focus on their relationship! Check out the free marriage resources available below or browse through some date night ideas! Free marriage recourses and date night ideas! 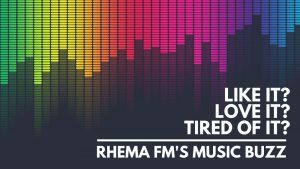 Rhema FM would also love to help you plan a date night out with your spouse! Listen out on The Big Breakfast, The Long Lunch and The Drive Home up until Wednesday the 12th of September for your opportunity to win a double pass to ‘Ladies in Black’! Screening time is Wednesday 12th September at Event Cinemas Glendale at 7:00pm.